I’m not a writer … I just write. Christoph Simon was born in 1972 in Emmental, Switzerland. After travels through the Middle East, Poland, South America, London and New York, he settled in Bern. His first novel, Franz, or Why Antelopes Run in Herds (2001) has sold over 10,000 copies, while Planet Obrist (2005) was nominated for the Ingeborg Bachmann Prize. 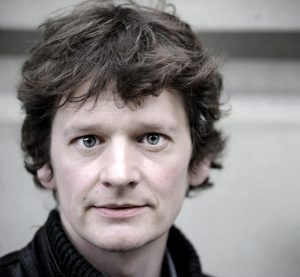 Zbinden’s Progress is his fourth novel and won the 2010 Bern Literature Prize. Read more about Zbinden’s Progress in the book section. Zbinden’s Progress featured in World Literature Today’s ‘Notable Translations 2012’ list. As well as in the London Review of Books’ ‘Winter Selection 2012’ and Booktrust’s ‘Books We Like: January 2013’. 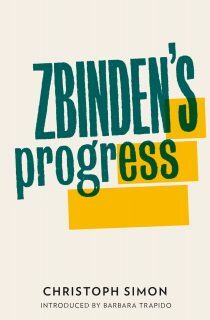 Zbinden’s Progress was one of the books discussed in the German-language Reading Group in Spring 2011. Readers loved its charm and emotional pull. Its original title is Spaziergänger Zbinden.